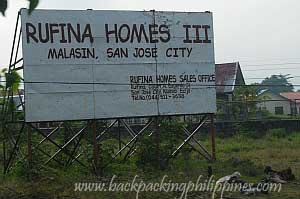 Rufina Homes is located in a jinxed barangay...joking! San Jose Tourism sites cites the Tanduyong festival held every 4th Sunday of April coinciding with the annual fiesta to celebrate this. Tanduyong is a variety of onion grown in the area. Another interesting place is Palasapas Falls said to be a popular picnic venue. Note: Photos taken in a moving car through a tinted window that's why some are slightly blurred,with color disparities and sometimes glass reflections. Some pictures cropped and added slight color adjustments but no major alteration. Driving Directions: On NLEX, take Sta. Rita Exit then just follow the route that will lead to Pulilan, Plaridel, Baliuag, San Ildefonso, and San Miguel, Gapan, San Leonardo, Sta. 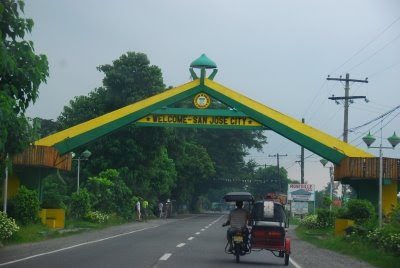 Rosa, Cabanatuan City, Talavera, Muñoz then San Jose. Those with motorcycles or want to avoid toll fees on NLEX can opt to go via MacArthur Highway passing through Caloocan, Valenzuela, Meycauayan, Marilao, Bocaue, Balagtas, Guiguinto (Tabang), Plaridel, Pulilan, Baliuag, San Rafael, San Ildefonso, San Miguel , Gapan, San Leonardo, Sta. Rosa, Cabanatuan City, Talavera, Muñoz then finally San Jose City. Commute: Bus service to San Jose, Nueva Ecija is can be found on EDSA, Cubao Quezon City e.g. Baliwag Transit, Five Star Transit et al with signboards. Buses going to Banaue also pass by the city. nanay belen, spanish looking but it looks recent and not old, probably a reconstruction. How are you supposed to pronounce the name properly? We are interested to place our ads on your site. If interested, please email me. We, WuTravel.com, is a start up travel site in Singapore. We are interested to place our ads on your site. http://www.backpackingphilippines.com/. oh nice cathedral. i like the architechture. kyels, i don't know how to describe but you need to say it slowly to have the funny meaning. stella, you didn't give your email address, how can i email you? The architecture of the church is very impressive. I should visit there when I go home. may bago na naman akong papasyalan sa blog! your right. san jose cathedral is newly renovated. 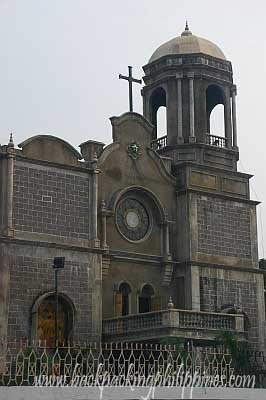 the kita-kita church also in san jose is much older although it is closed to the public during weekdays. 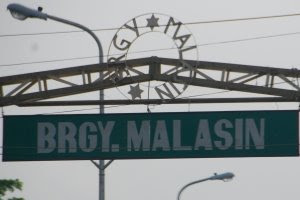 my province really has some funny sounding barangay names like Barangay Canaan in Rizal, Barangay Balooga in Talavera and Barangay Palagay here in Cabanatuan. photo cache, just near your home province, eh? 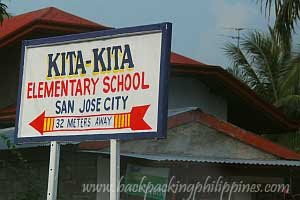 Kita kita and malasin? Haha. willie of san jose city - i miss you.... very much! can anyone point me to cheap inn or lodge somewhere in San Jose, Nueva Ecija? I mean really cheap dives. I'm trying to travel with just the bare necessities: a camera, a few clothes and a couple of bucks, a'la chris mcCandless..
PORAIS --- named by the early inhabitants of the place who came from PURA, Tarlac. The old cathedral structure at the downtown withstood the second world war, but off course it has to be renovated. Watch the movie "Tinimbang ka ngunit kulang" and you'll see some of San Jose's original edifices, including the old cathedral. 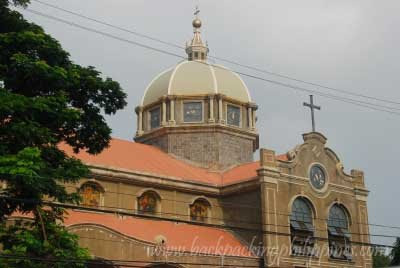 The church located in Kita-kita is a parish church, while San Jose Cathedral is the central catholic church of the Diocese of San Jose (2nd district), Nueva Ecija. "Malasin" is also a deeper Filipino word synonym to "tignan" or "saksihan" (e.g. Malasin mo giliw ang saksi ng aking pagmamahal... a line from a tagalog folk song).